This place sound like a labor of love. I grew up in diners thanks to a father who supplied them with some of their raw ingredients. I’m going to have to stop here when I’m up your way. Penny, I’ll be honest; as an old school diner lover I was initially afraid it was going to be too “cutesy” for me, but really was pleasantly surprised by the great atmosphere and obvious hard work the owners had put into it. This is my kind of place. Next time I’m in Mass (I know, when will that be?) I gotta go here. 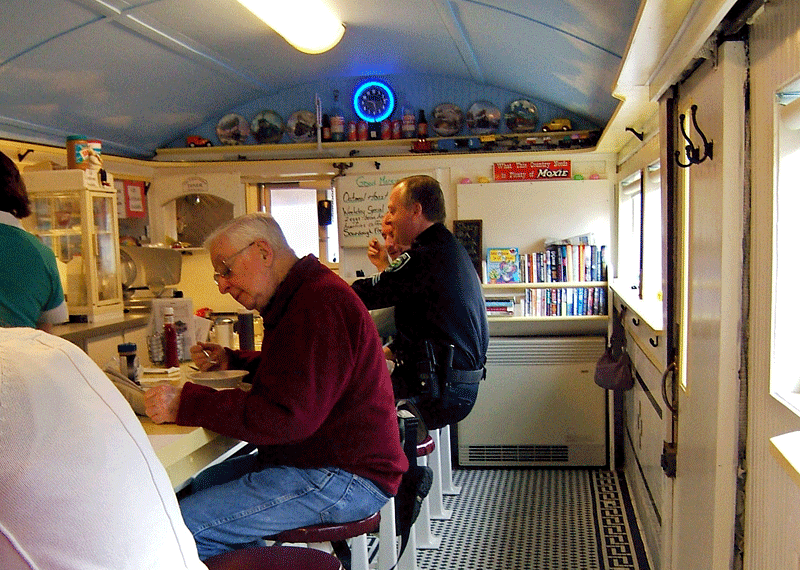 I may not be a “foodie”, but I like a good breakfast in an old-school place. 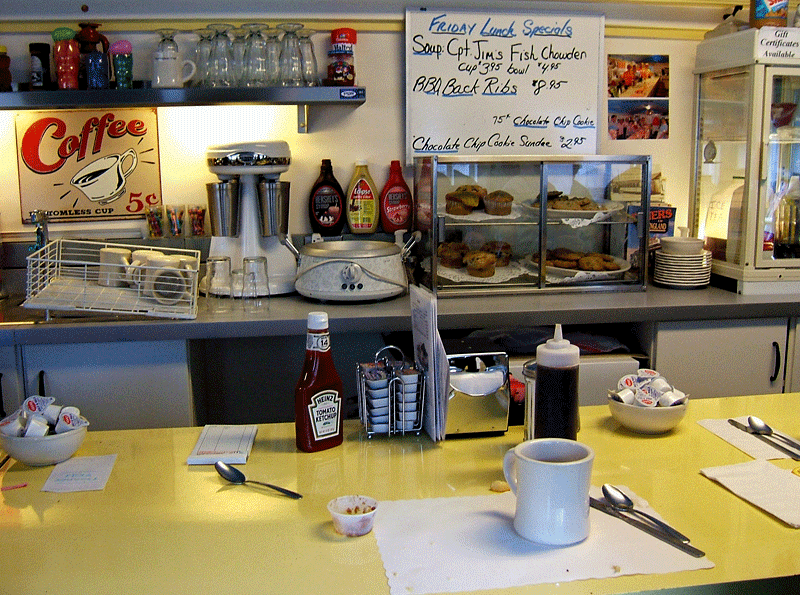 I grew up in Peabody and used to have breakfast there when I taught in Peabody. 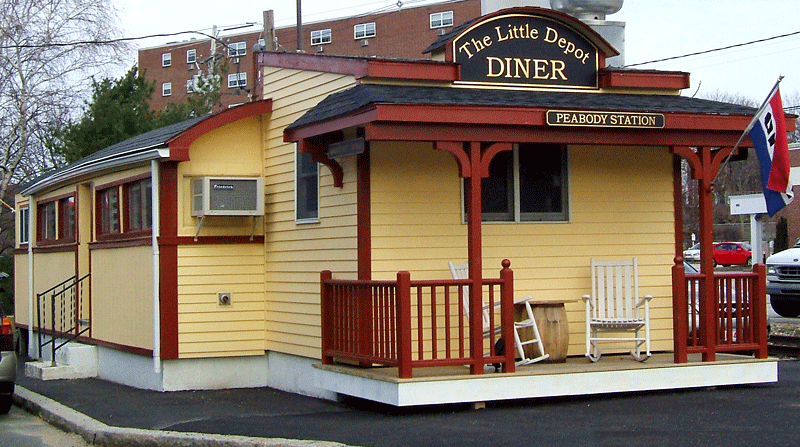 I could catch the Lowell St bus in front of the diner. Glad to see the diner is still in operation. when I was a kid (1940′s) there was a crossing guard who raised and lowered the gates on Central St. the railroad yard was very busy as the leather industry was in full swing then. Looking for the recipe for carton,graton or the pork spread with 12 allspice berries in it. Used to eat it all the time for breakfast in Massachusetts. My friends mother used to make it and cook it over night. What a smell and the taste was even better. Can’t find it in Miami.